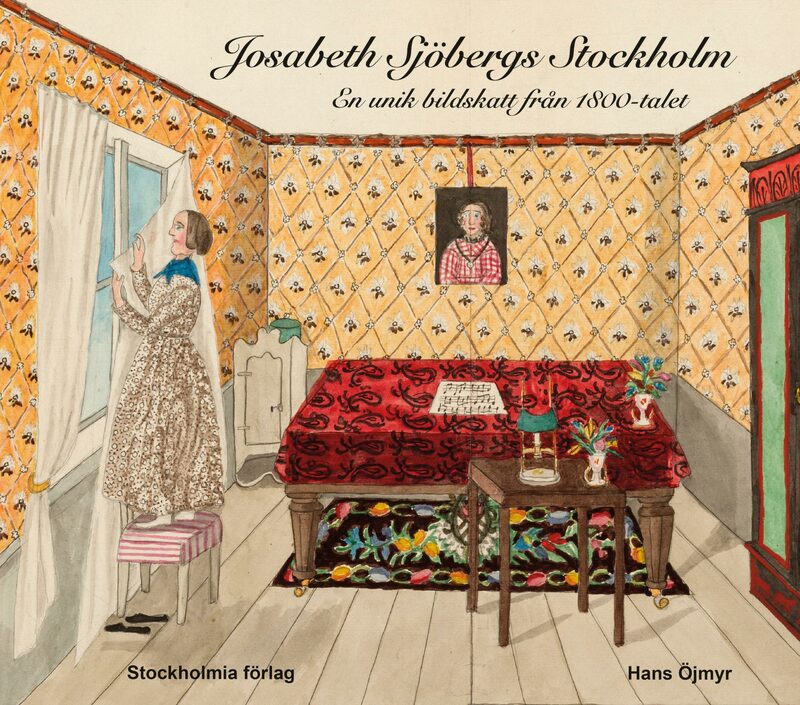 After the death of her parents, wealthy Josabeth Sjöberg (1812-1882), formerly daughter of a clerk in a Swedish government department, became poor and was obliged to work as a governess and music teacher in high bourgeois homes in 19th Century Stockholm. 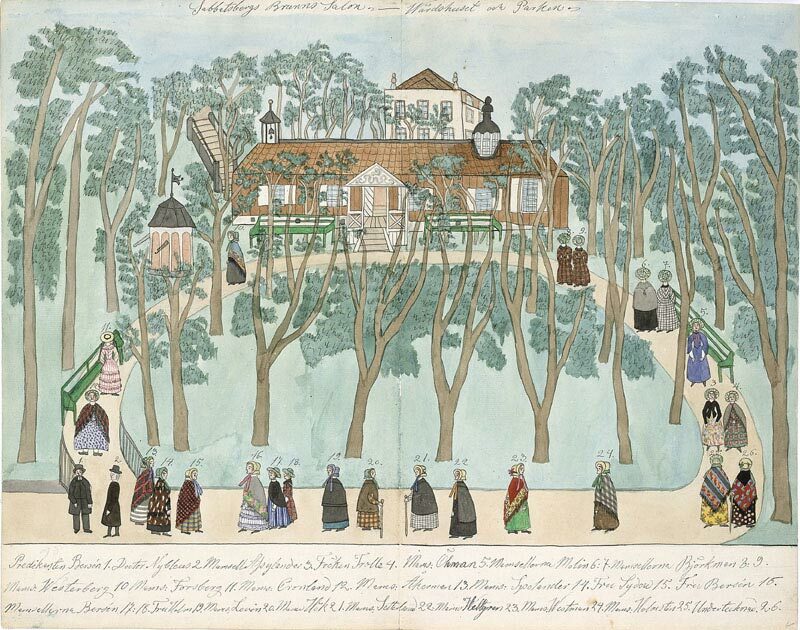 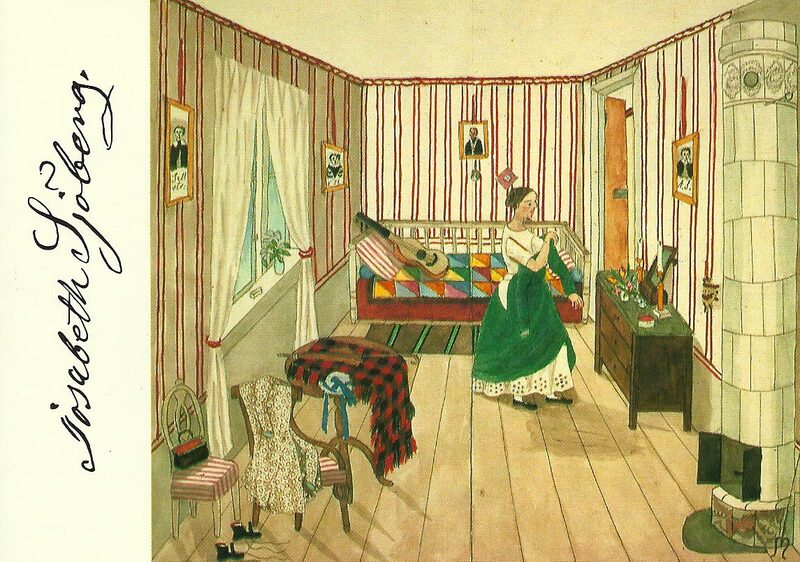 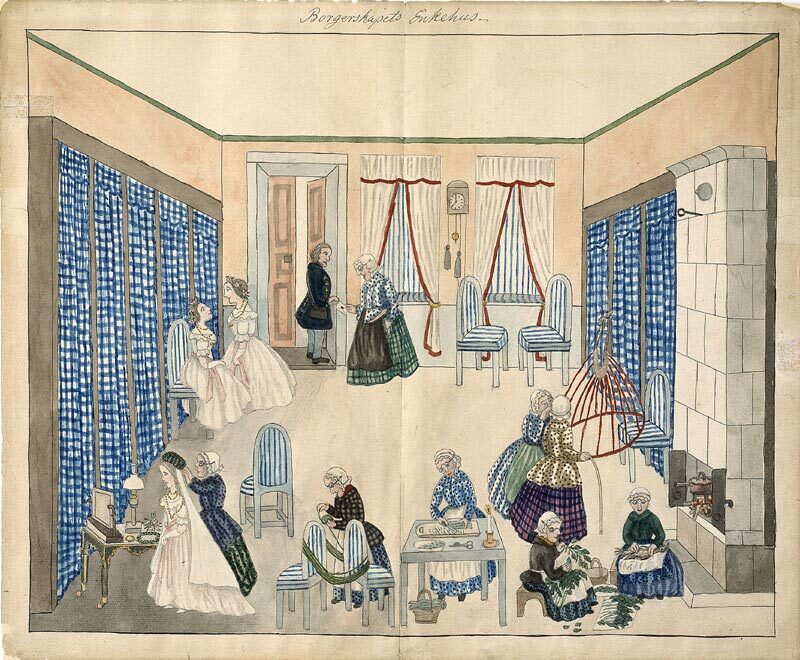 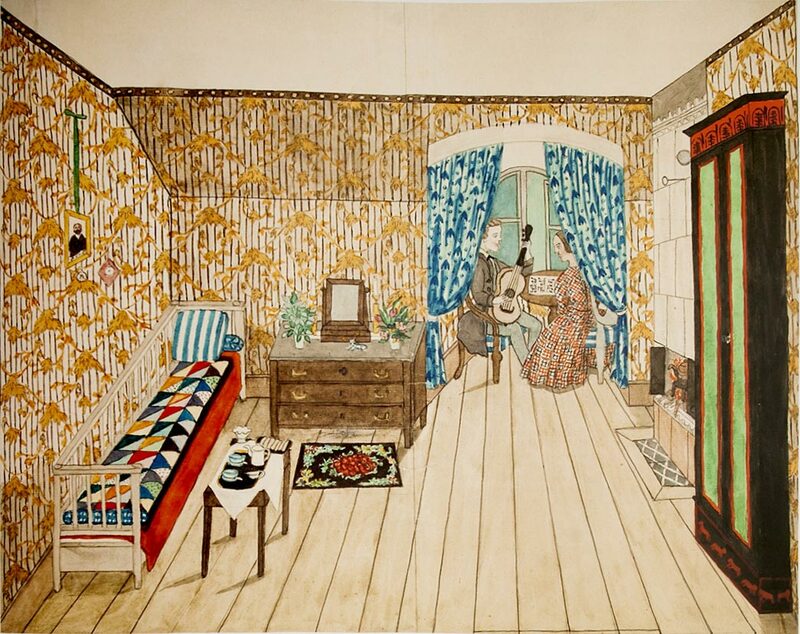 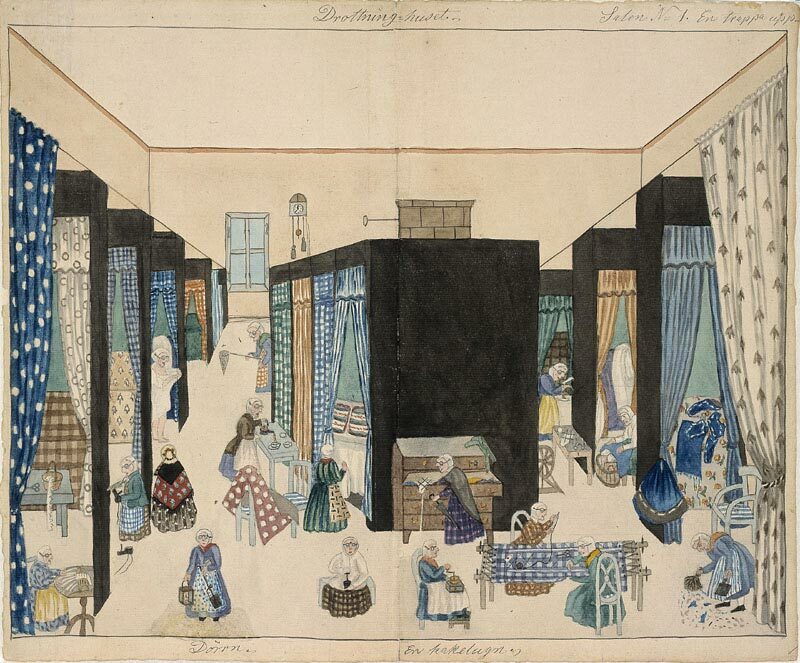 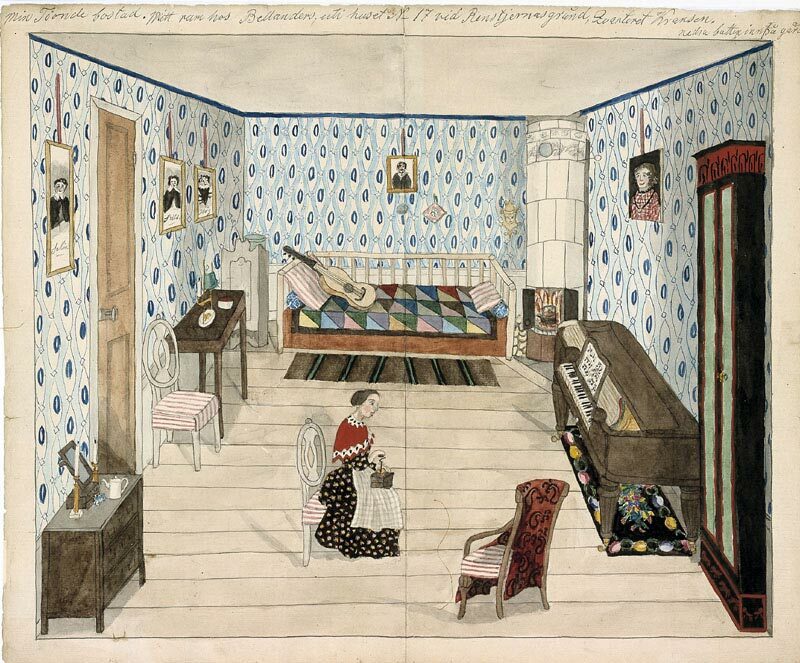 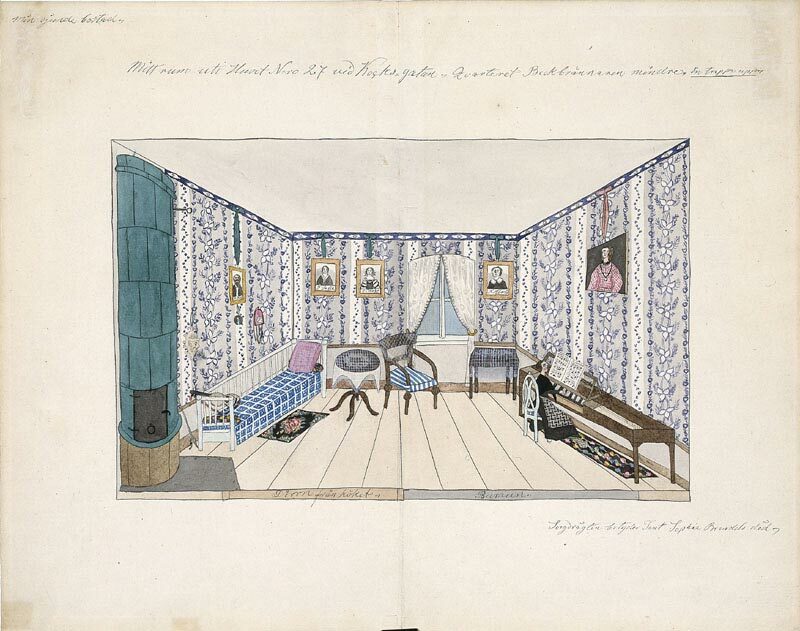 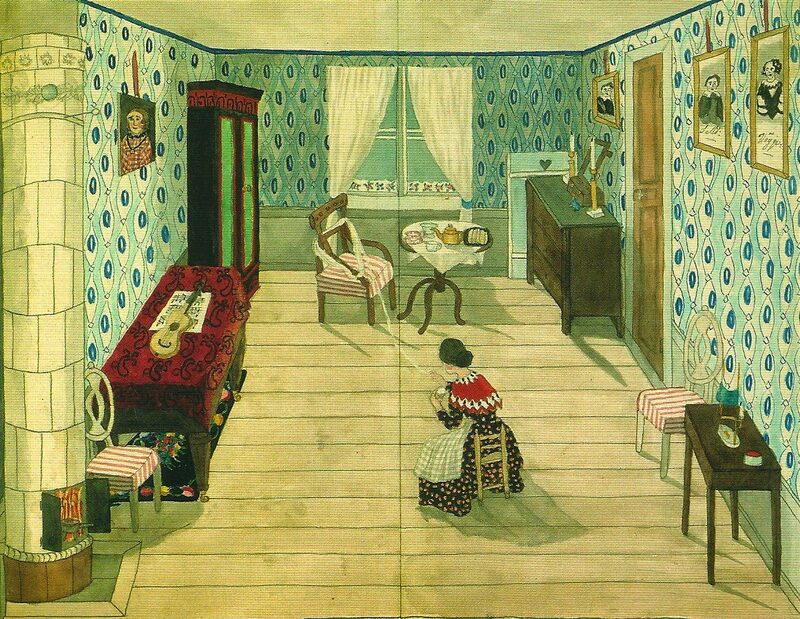 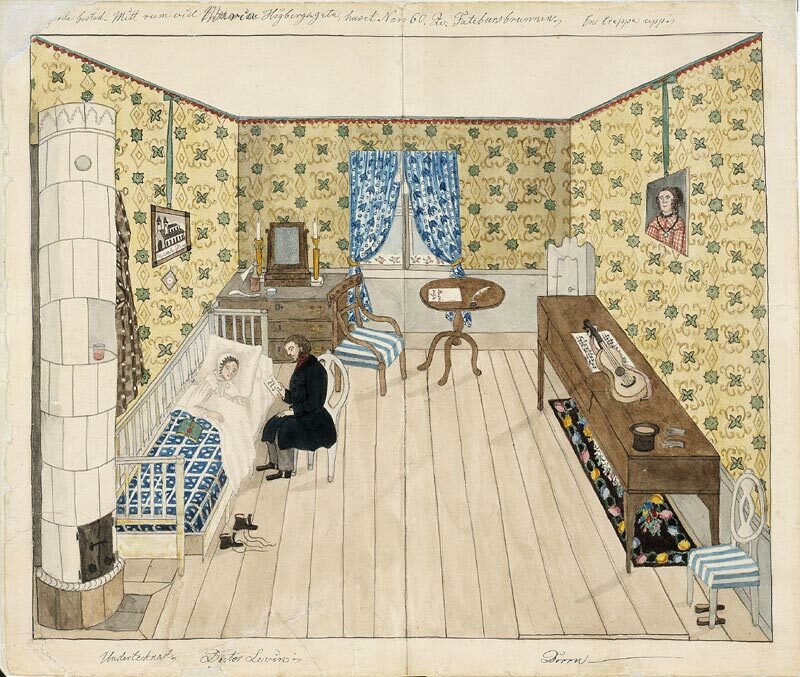 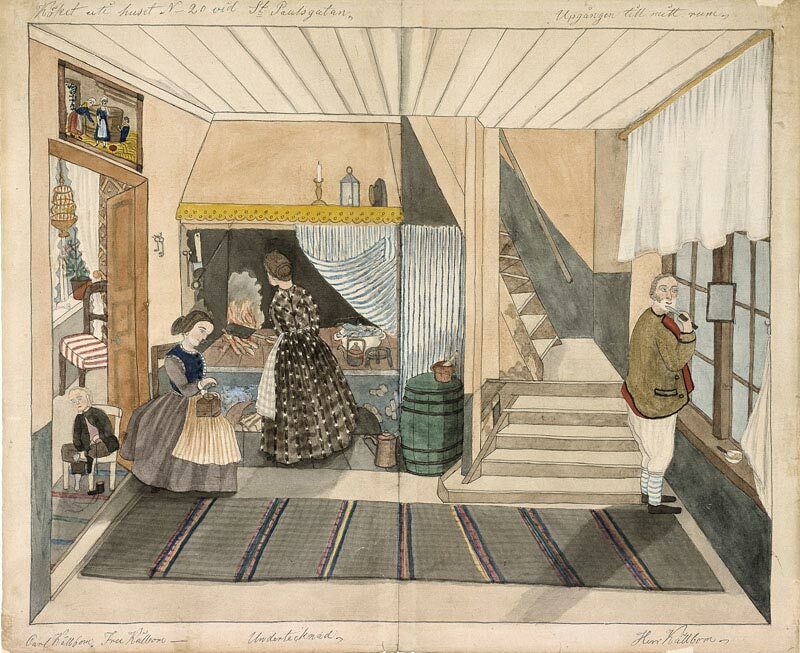 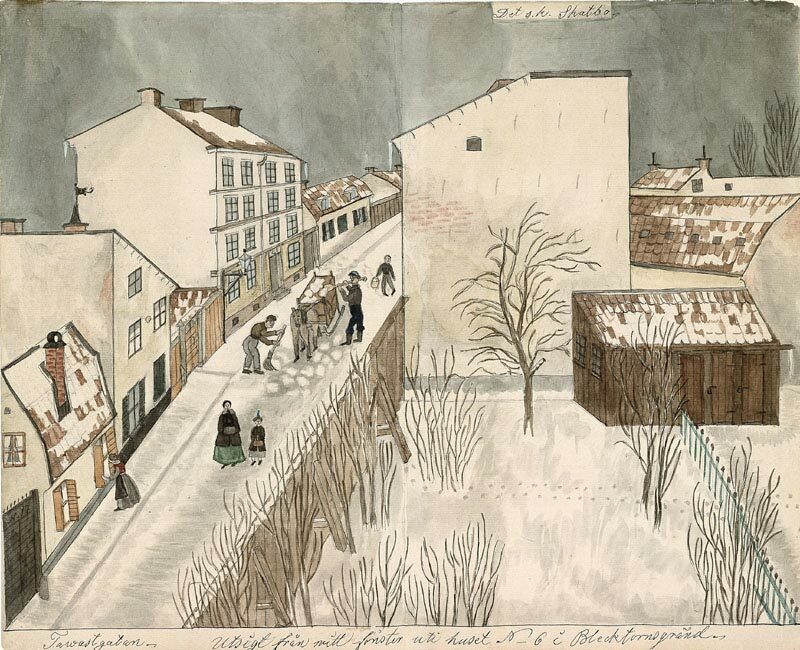 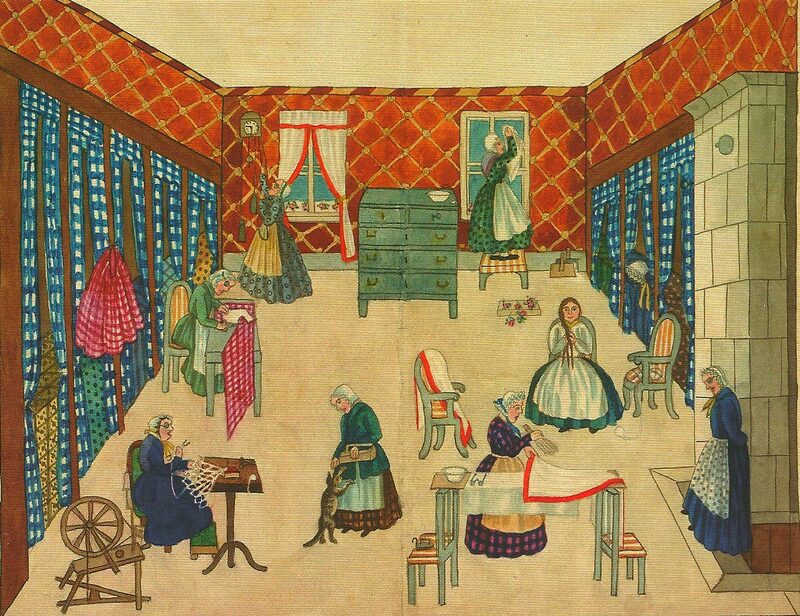 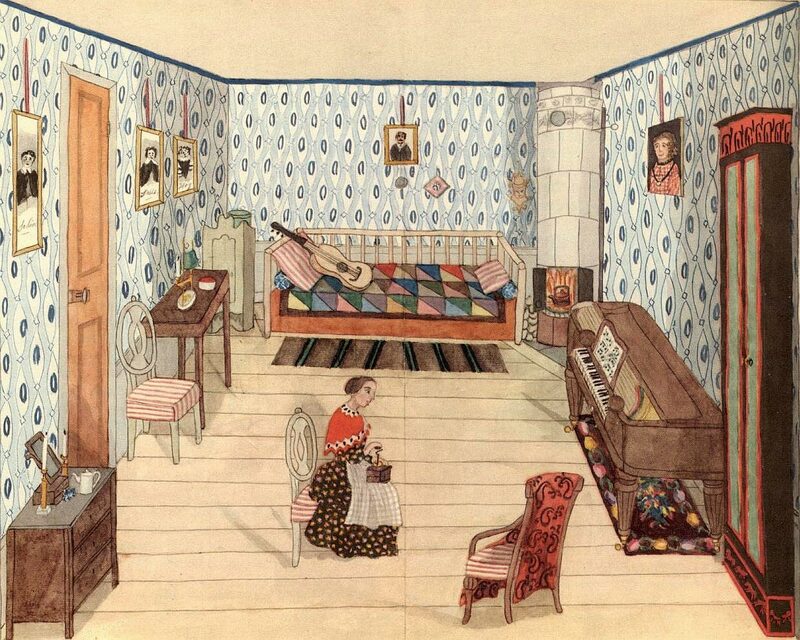 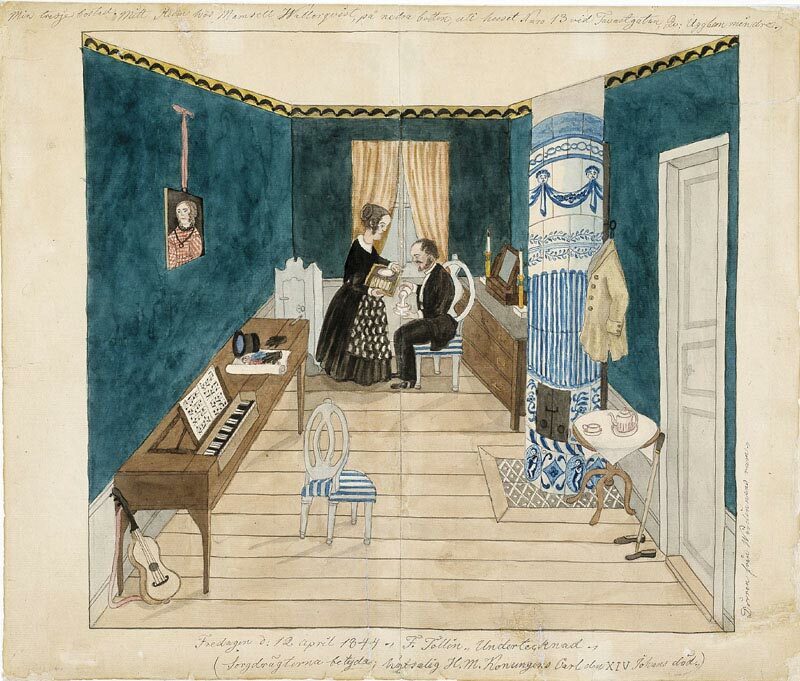 As a technically unsophisticated, yet meticulous watercolourist, Mademoiselle Sjöberg used her free time to carefully portray the everyday life of the various families she worked for. 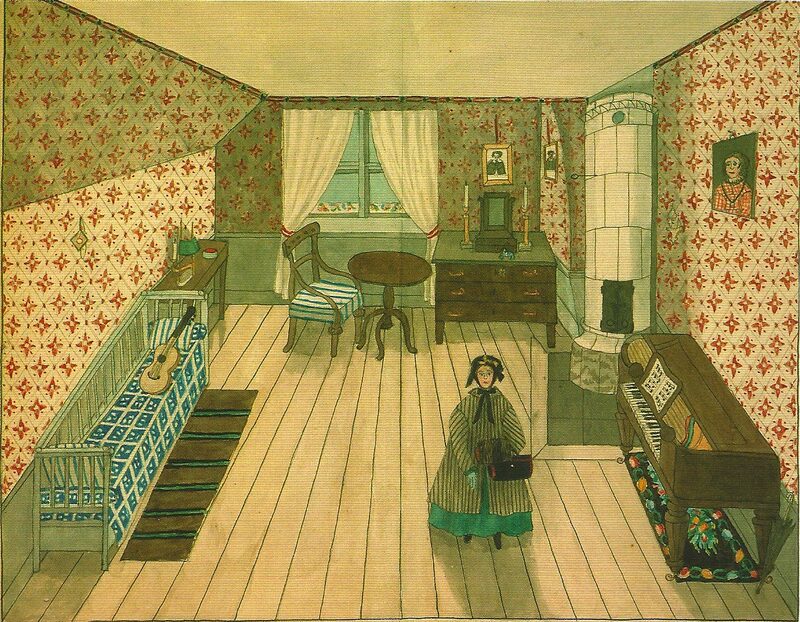 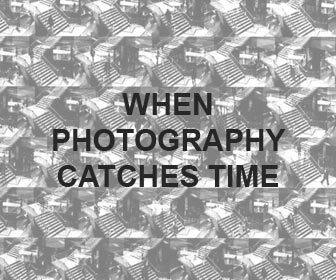 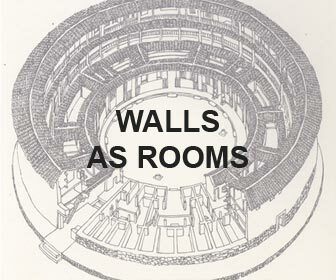 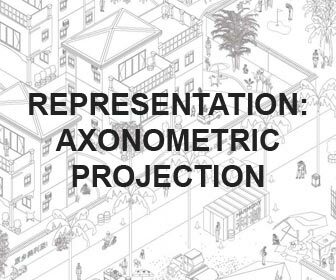 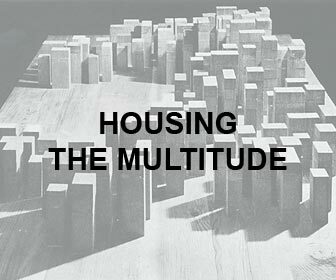 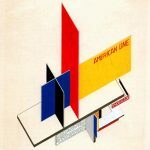 Her paintings, mostly depicting interiors scenes using fake central perspective projections (in which the pieces of furniture are almost axonometric and people are the same height despite being at different distances from the vanishing point), somehow recall Tessenow’s interior drawings (which are, conversely, much more technically precise). 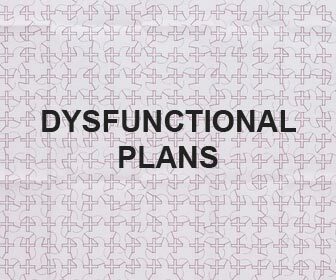 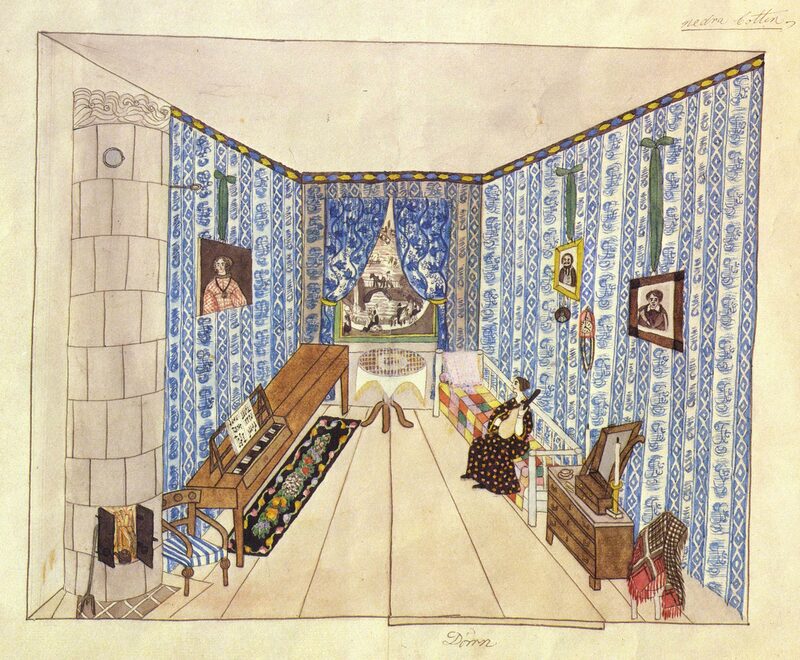 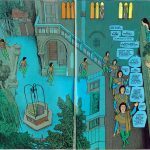 The use of the color, the ordinariness of the scenes and the unrigorous technique all convey to the expressivity of the works, almost predating the production of naïf / art brut artists of later years.